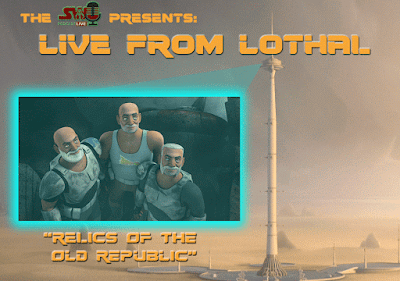 Live From Lothal | "Relics of the Old Republic"
On this episode Chris, Ben, and Dominic break down the second episode of Season Two of Star Wars Rebels, "Relics of the Old Republic." They discuss the dynamic between the clones and the Rebels, speculate on what may have happened to the Clones after Order 66, and debate the future of Agent Kallus. All this and much more!